Methadone has been one of the most commonly used and effective maintenance medications for opioid use disorder for years; unfortunately, it has also been proven to be highly addictive and has led many patients to develop an entirely new substance use issue. The methadone detox process can be extremely difficult, and the withdrawal symptoms can mirror those of pure heroin and prescription opioids. 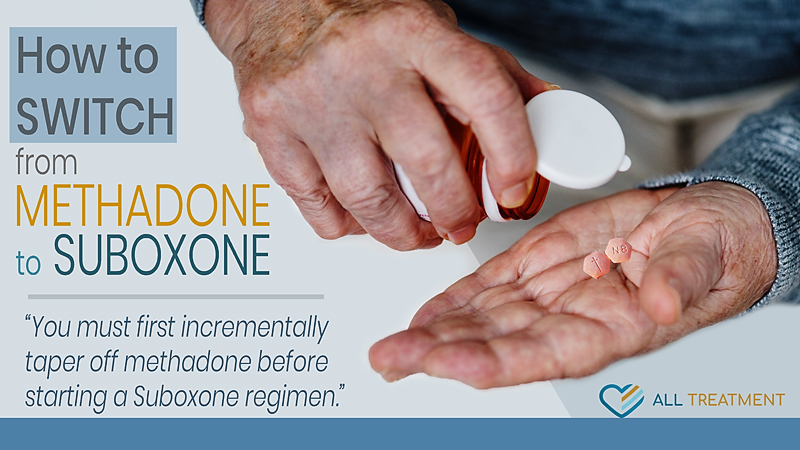 The addictive nature of methadone has given way to newer alternatives to medication-based opioid addiction treatment, the most prominent example of which is Suboxone® (buprenorphine and naloxone). Switching from methadone to Suboxone can be difficult, but it’s often necessary for those who find themselves developing peripheral methadone withdrawal issues during opioid maintenance. Simply put, methadone is more powerful than Suboxone. 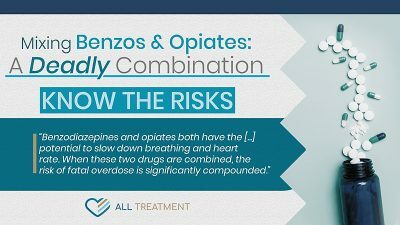 It is a synthetic opioid that yields less potent and frequent effects that are identical to heroin and other powerful prescription opioids like oxycodone, hydrocodone, and others. Suboxone and other buprenorphine-derived maintenance medications don’t produce these effects, allowing patients to incrementally mitigate their cravings and lessen their withdrawal symptoms. The buprenorphine in Suboxone binds to opioid receptors and combats the effects of opioids, including methadone, that bind to the same receptors. Buprenorphine is only designed to address opioid addiction and not the chronic pain often associated with the withdrawal process, which means it’s better suited for patients suffering from serious opioid addiction. When it becomes necessary for opioid recovery patients to switch from methadone to Suboxone, they must first incrementally taper off methadone before they can start a Suboxone regimen. This helps to lessen the withdrawal symptoms and make the detoxification process easier. The more methadone a patient has in their system when they transition, the more arduous the withdrawal process is likely to ultimately be. Comparatively low feelings of sedation and heaviness. Fewer side effects and withdrawal symptoms. The gradual nature of methadone tapering. The longer-acting formula for therapy. The stigma associated with methadone. Lower risk of damage to the heart. Suboxone being more forgiving if a dose is missed. The process of switching from methadone to Suboxone begins with talking to your prescribing physician about your options. If you’re determined eligible for Suboxone treatment, your doctor can assist you in either coordinating with your existing methadone clinic or finding you a treatment center that offers medication-assisted treatment using Suboxone. When planning to transition from methadone to Suboxone, it’s not advisable to take any more than thirty milligrams of methadone per day or to drop more than five grams at a time. Once approved for buprenorphine treatment, you can begin to make the transition under the close supervision of your prescribing doctor. Patients on medication-assisted treatment should never adjust their dosages or cease use without first consulting their physicians. Once you’ve adequately tapered off methadone, your doctor will measure your vital signs and act accordingly. Currently, the law caps the number of patients to which doctors can simultaneously prescribe Suboxone to one hundred. It’s also worth mentioning that methadone is considerably more affordable than Suboxone; however, the FDA recently approved generic forms of Suboxone, which may bring down the price. Whether it’s methadone, buprenorphine, or any other type of maintenance medication, these drugs can start you or your loved on the road to recovery from heroin and other prescription opioids. Withdrawal and cravings are the two most arduous parts of the opioid recovery process; medication-assisted treatment can give patients the relief they need to successfully maintain sobriety and improve their health and quality of life.